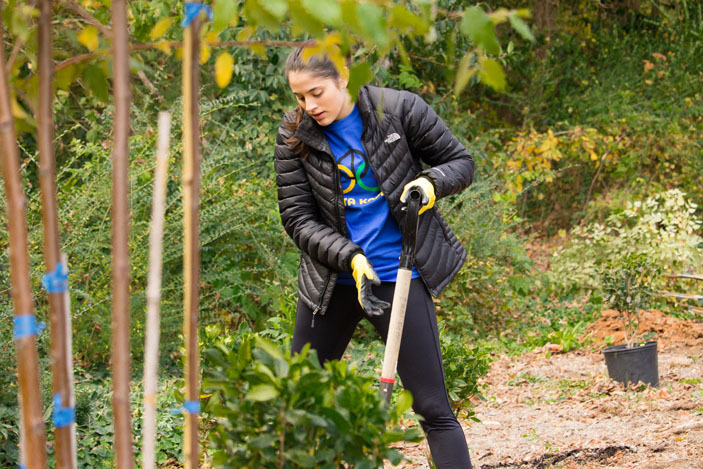 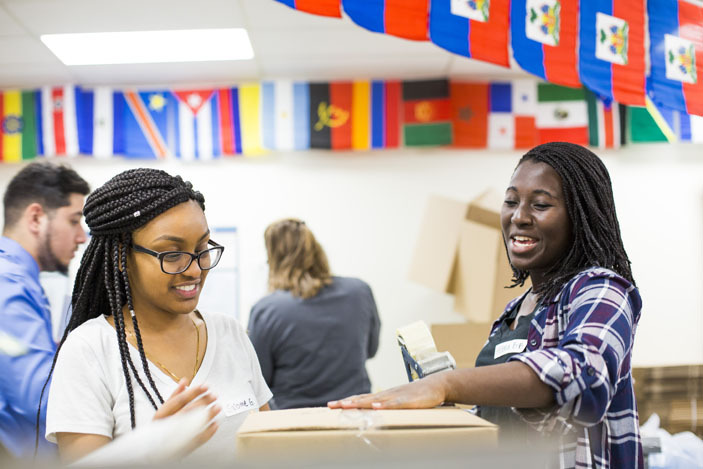 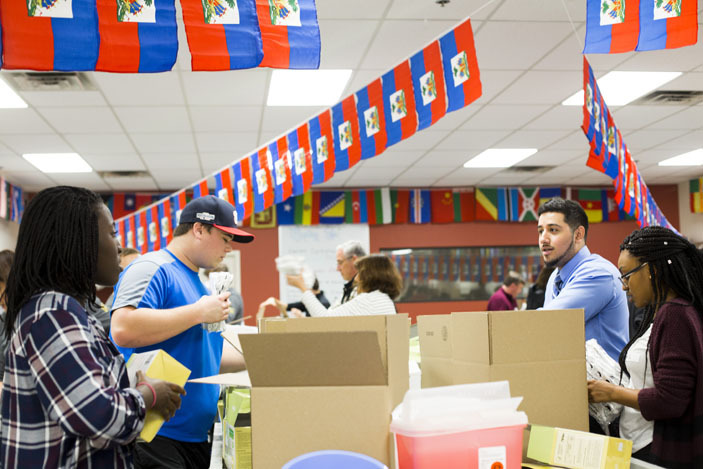 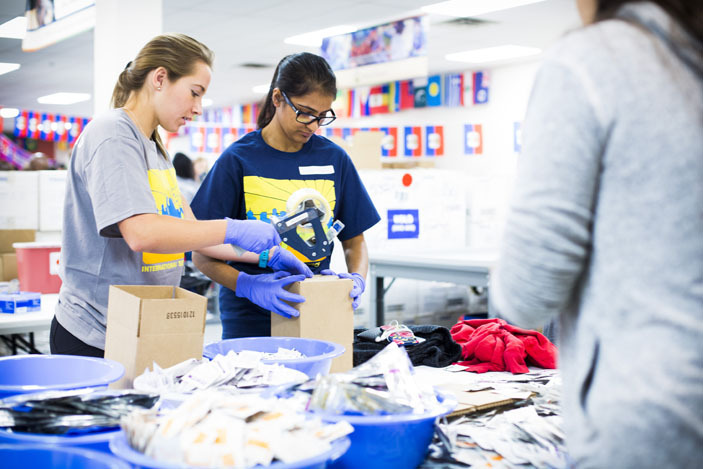 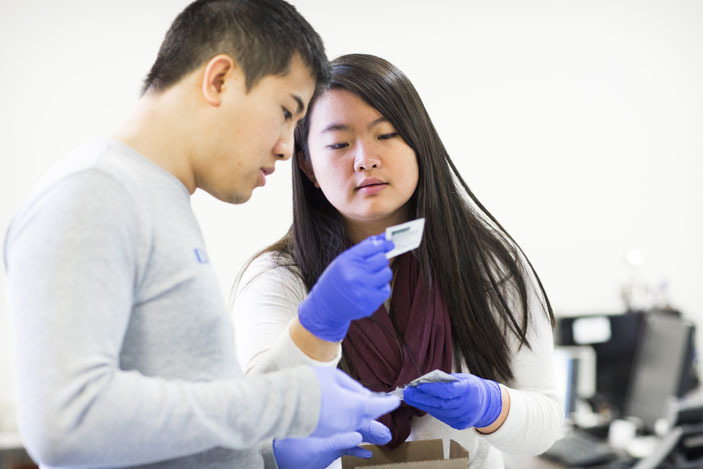 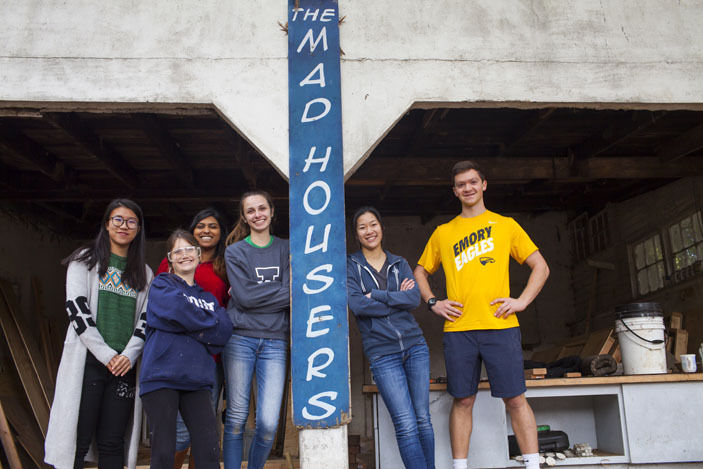 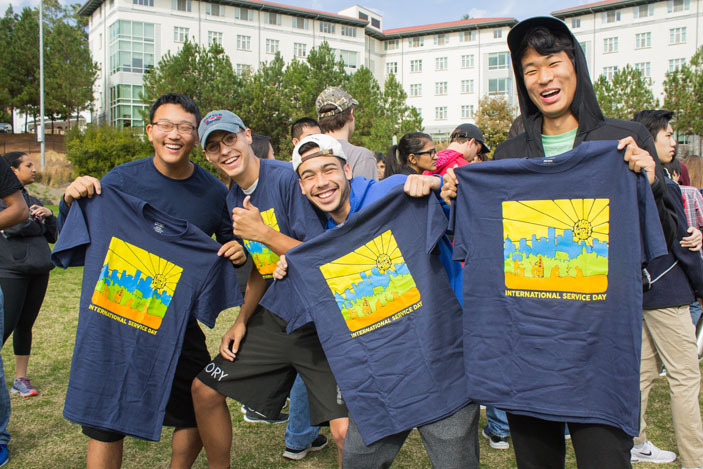 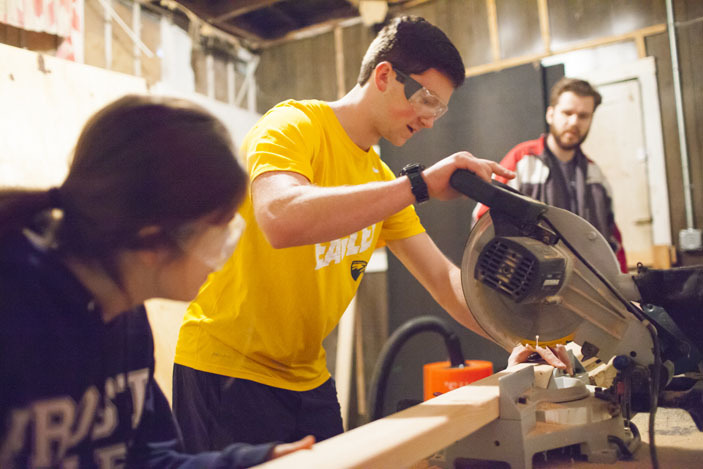 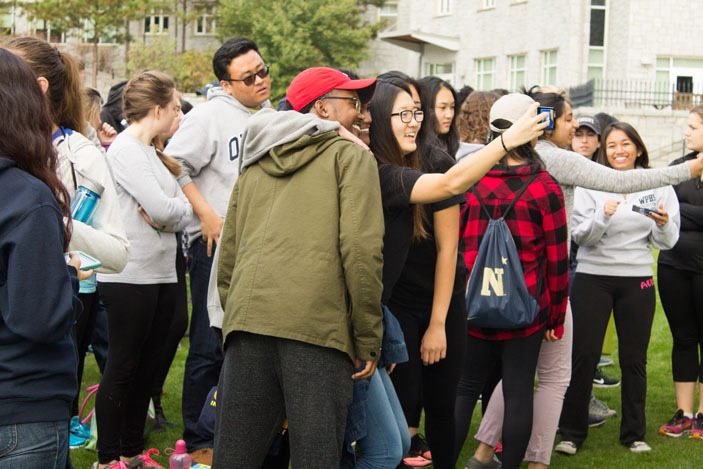 Hundreds of Emory students, alumni, faculty and staff united to help communities across Atlanta and around the world for Emory Cares International Service Day on Saturday, Nov. 12. 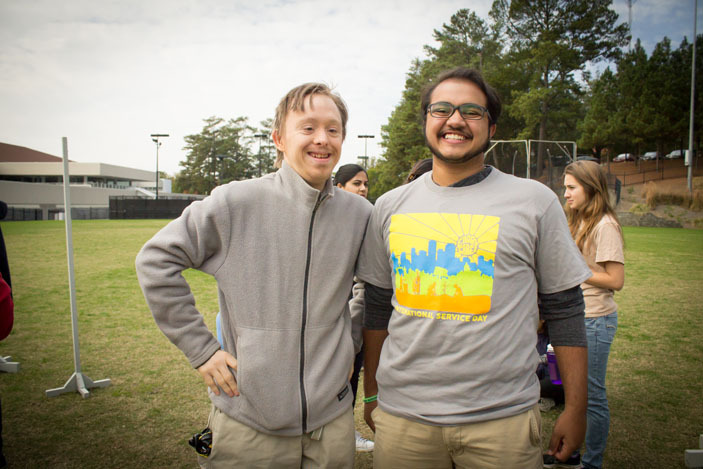 Volunteer Emory offered 15 projects in the Atlanta area. 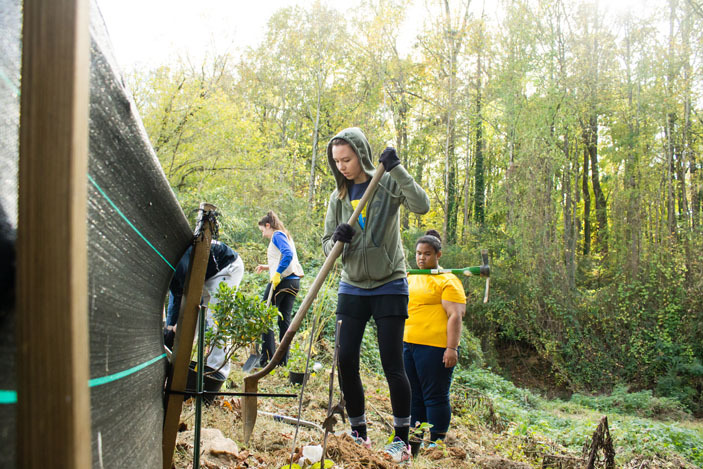 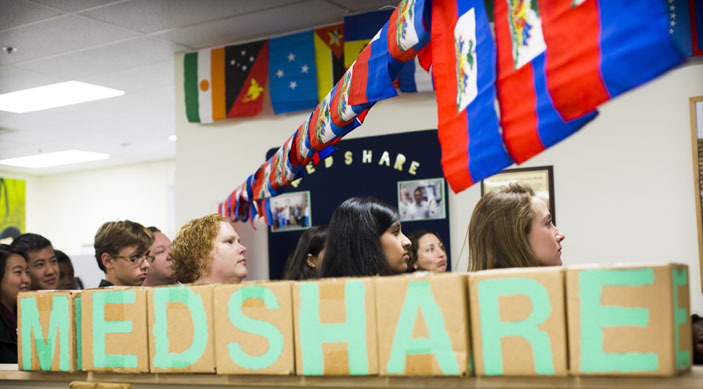 The Emory Alumni Association, which founded Emory Cares Day in 2003, organized 14 projects in Atlanta and 50 international projects. 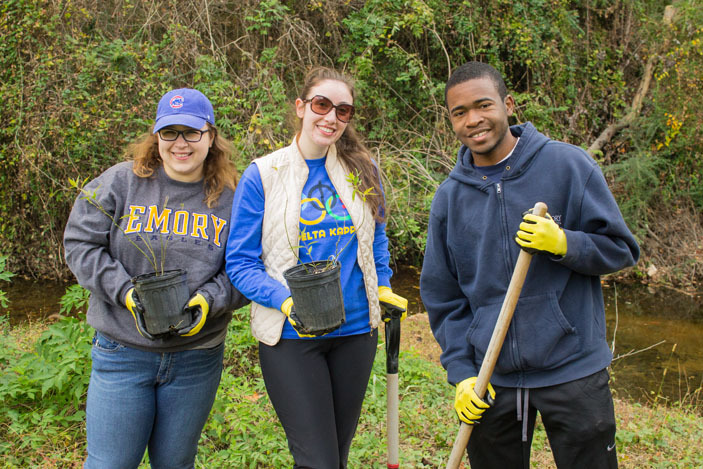 Local volunteers gathered at Emory's McDonough Field before fanning out to project sites on campus and throughout the metro Atlanta area. 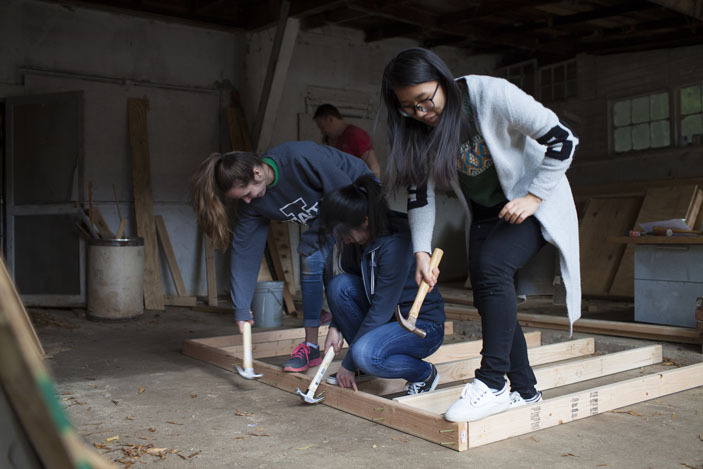 Projects (pictured above) included building shelters for people who are homeless with the MadHousers; packing medical supplies for health care centers in the developing world with MedShare; and helping with a pollinator-attractive planting project near Kaminsky Field with the Office of Sustainability.